..... the largest marine protected area in the Philippines. SIPLAS - Siargao Island Protected Landscape And Seascape, is the largest marine protected area in the Philippines. 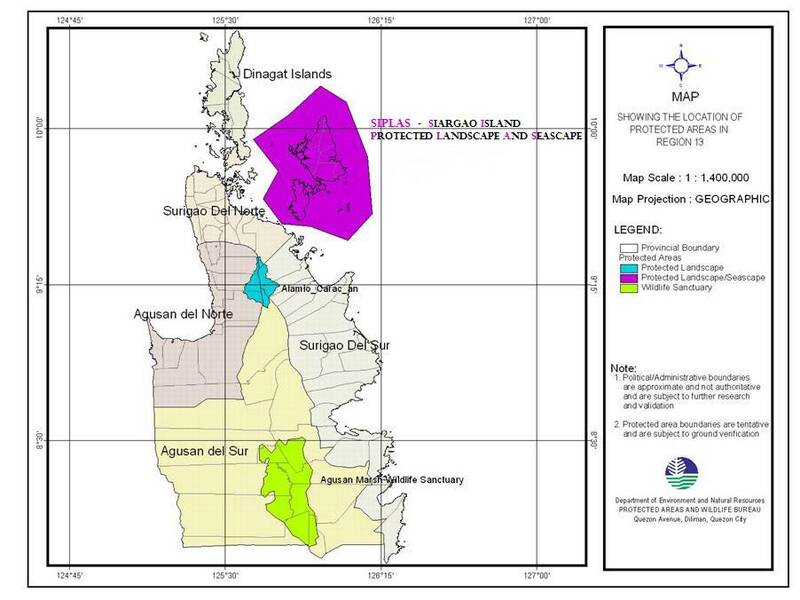 On October 10, 1996 the terrestrial, wetland and marine areas of Siargao and its surrounding islets in northeastern part of Mindanao, province of Surigao del Norte are declared as protected area under the category of protected landscape and seascape, through the Proclamation No. 902, by the President of the Philippines. SIPLAS is containing an approximate area of 278,914.131 hectares as protected landscape and seascape. The Republic Act No. 7586 is the main basis for the Proclamation No. 902. Therefore, all supplementary regulations about SIPLAS are valid only in accordance with the Republic Act No. 7586. This Act shall be known and referred to as the NIPAS Act (National Integrated Protected Areas System) of 1992. © 2013 - 2019 SIPLAS.org (all rights reserved).